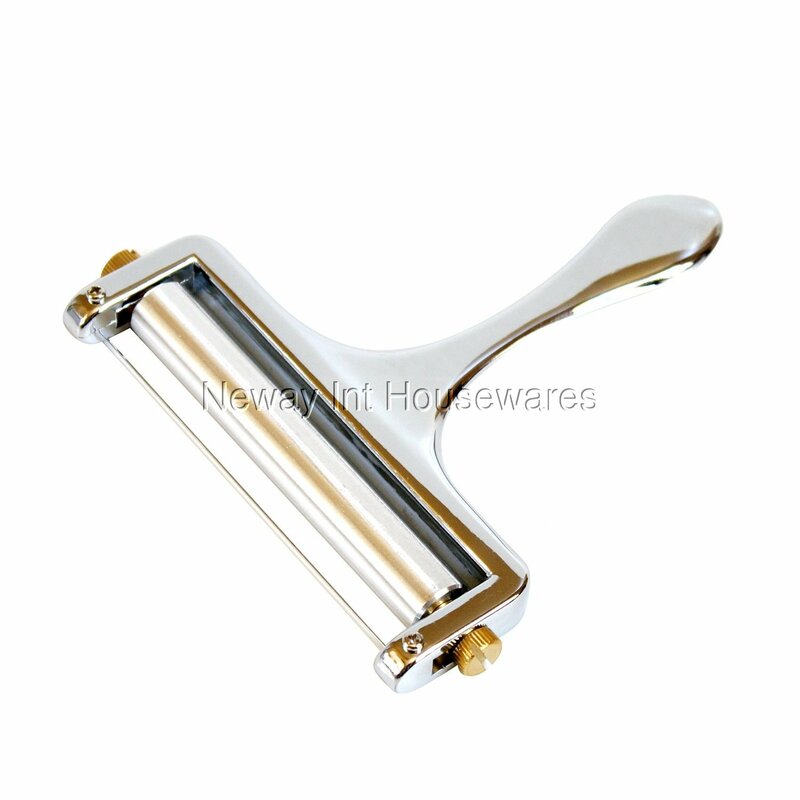 The Cook N Home Zinc Alloy Heavy Duty Cheese Slicer is made of heavy duty zinc alloy. Easily adjusts to different thicknesses. Stainless steel wire cuts both hard and soft cheeses. Slicing is easy and more effective than a regular knife. Not dishwasher safe, hand wash recommended. Cutting wire length is 4 inches, handle is 5 inches. Stainless steel wire cuts both hard and soft cheeses.